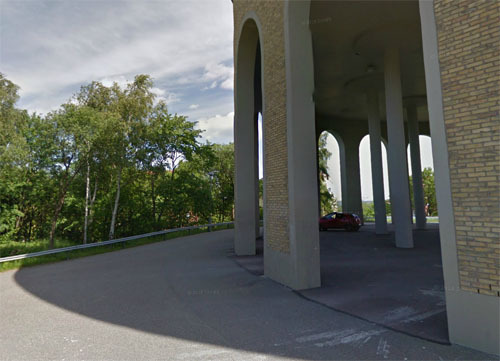 Guldhedens vattentorn (watertower) is a watertower in Södra Guldheden in Göteborg, with the adress Doktor Sven Johanssons backe 1. The watertower consists of a cylindrical reservoir that is supported by a central column and 20 columns with arches all around. In addition, there are 10 inner pillars to support. The outer arches and pillars reservoir has a facade of yellow brick. On the roof of the reservoir is a cylindrical top building containing a café for 40 guests, which opened to the public on June 4th 1953. The tower stands on Wattnebergen, as they were called earlier. The tower was at the inauguration Göteborgs highest building. Approximately 1400 cubic meters of concrete was required for construction. Professor Granholm at Chalmers accounted for the construction. In the middle of the tower is a passenger elevator for two, or you choose to walk the 100 steps of stairs up to the top of the tower. During the first six months of the Tower of almost 75 000 people visited it. The six inches high and 32 meters long wall decoration, which runs like a strip around inside the roof, created by artist Tore Ahnoff. It has different designs from the city in the same direction as one can find them. 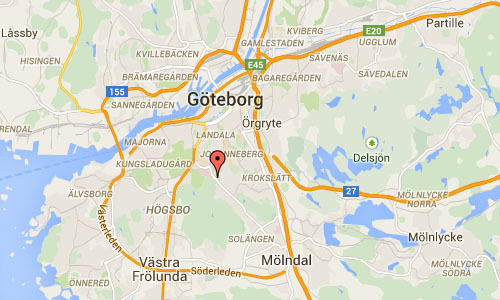 The idea came from Gothenburg arts council. Preparatory work began May 1, 1953, and in December the same year started painting work. The water tower is 22 meters high and towering total of 122 meters above sea level. 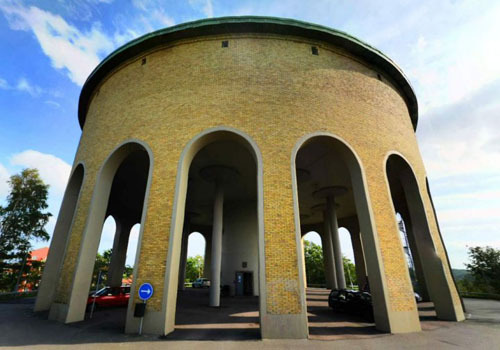 The tower was built in 1951 to provide Guldheden and Johanneberg with fresh water and was connected to the water tower in Johanneberg through a long pipe, 40 centimeters in diameter. The water for the two towers was pumped from a pumping station at Eklandagatan and one at the Isolation Hospital. 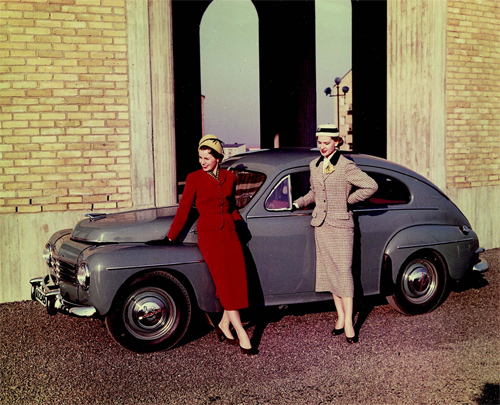 The tower was inaugurated March 19, 1953 of Waterworks Chairman, engineer Herbert Friberg and Urban College Vice Chairman Iwar Leandersson. 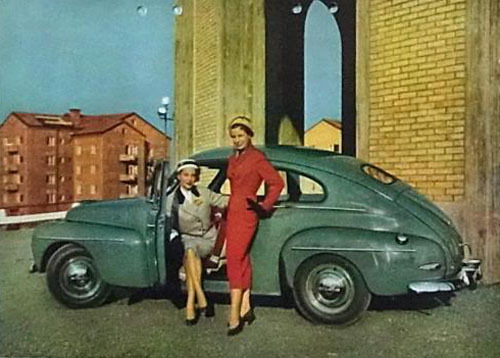 It was designed by architect Nils Einar Eriksson. 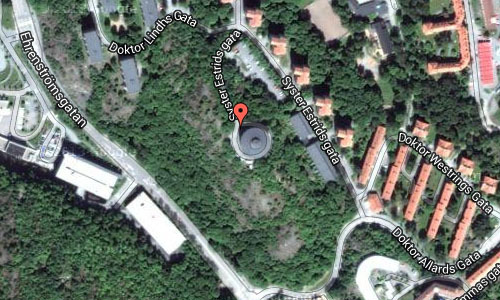 Guldhedens water should not be confused with Guldhedens north water tower that has been converted into student housing. 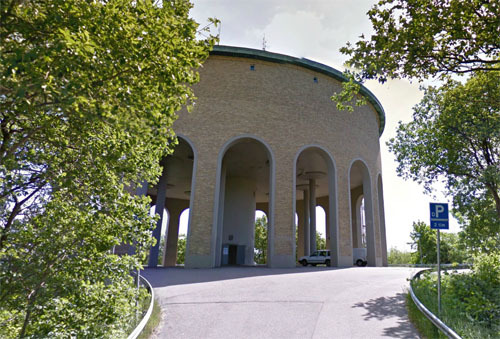 Guldhedens southern water tower, which is still in operation, it is colloquially called Guldhedens water. More information at www.guldhedstornet.se and sv.wikipedia.org.